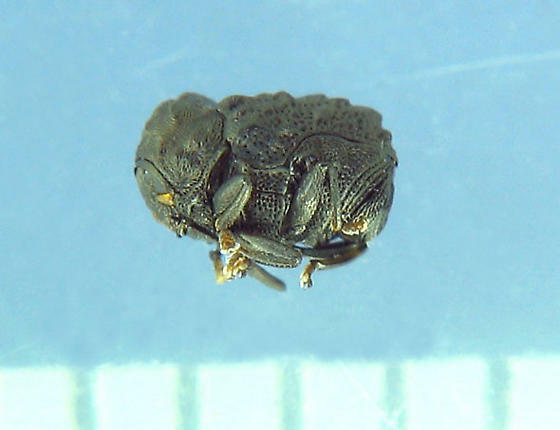 Here is the adult beetle to complete the larva/pupa/imago series. When did the adult emerge? It couldn't be the same date as the larva. How long did the pupation last? I am interested because I found a couple of these and I would try to raise one. How did the ID was arrived at finally? I may be able to determine by when the images were taken. That data is attached to my original images but not my re-sized images and they are stored on an external drive in my fireproof safe. I won't retrieve them till I have more time. As for final ID, without sending the actual specimen to a specialist the ID is in limbo. I supposed I should move both sets of images back to tribe. Good idea! I should be doing the same. Ha! But I would save the original and keep another copy handy. To me it looked identical to the unclassified Chlamisus I had posted previously so I moved it to that page.